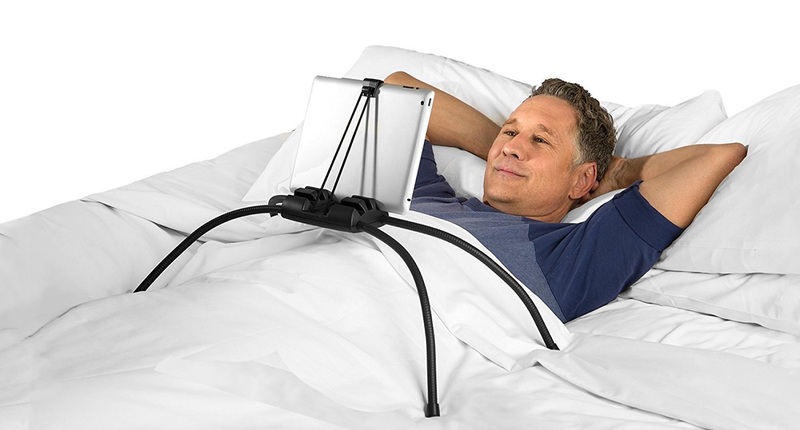 Tablift Universal Tablet Holder by Nbryte for the Bed and Sofa. 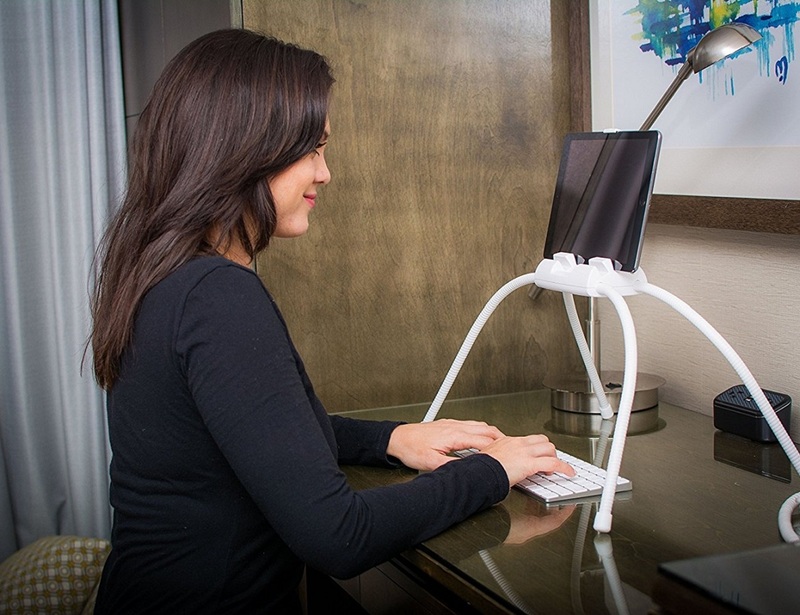 The tablift is a unique universal tablet stand made for all the places normal tablet stands will not work: the bed, couch, and any uneven surface. 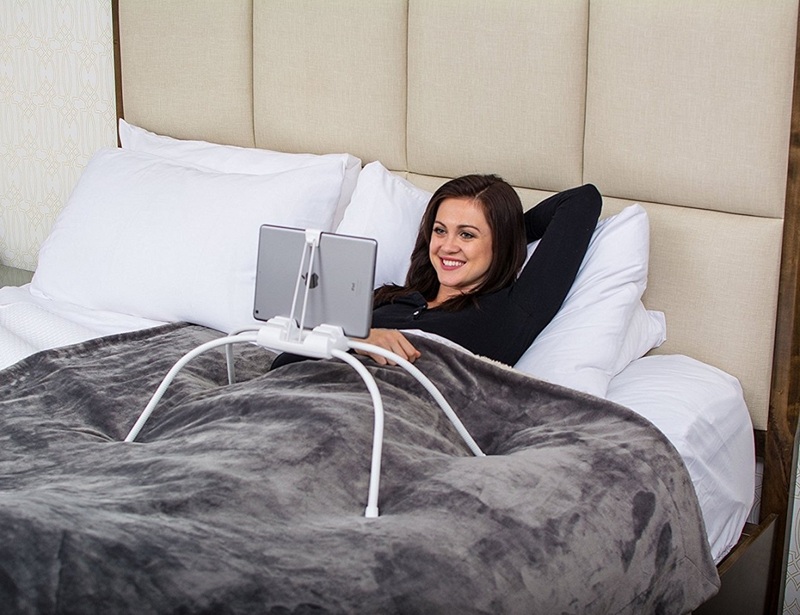 It will hold your tablet in the ideal viewing position, even when lying completely flat, without having to rest it or balance it on your body.